We are coming to the end of June. So I just wanted to send out a thought this week that hopefully hits home for you. Plus it can’t hurt to reinforce thoughts and personal growth with a strong Henry Ford Quote. Life catches up fast on us. Our careers, jobs, businesses, self employment projects, etc; all can build up on our shoulders. The end result? We start sacrificing things like quality service, customer service, and overall help to others for the chase of money, income, and/or profits. What do you think about most when it comes to your own health, wellness, and fitness goals? This is important when it comes to balancing out our lives when we are under stress in our careers, businesses, entrepreneurial pursuits, etc. Here’s a quick exercise for yourself. Grab a piece of paper, a pen, and quickly right down 3 things you think about when you ask yourself this… What happens when I focus on money? 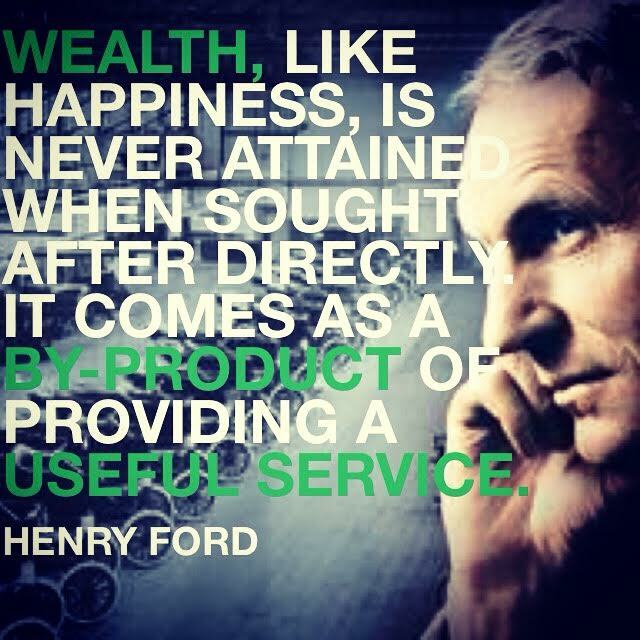 As stated in the above Henry Ford Quote… Focus and create profound service for your family, your job, your business and your life. Please channel this note of inspiration into closing out this month strong and planning for your next month of success!